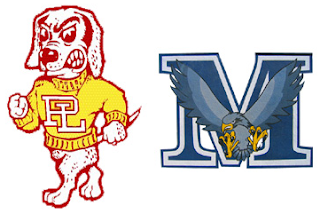 A Western League showdown between Point Loma and Madison headlines a week full of key match-ups. With Kearny having the Central League title on lock, these teams will be fighting for their playoff lives in this game. Coronado could probably afford to lose one but Morse needs to win out in order to be considered by the seeders. The injury riddled Pirates might be out of the Avocado West League title hunt after their unexpected defeat to La Costa Canyon last week but their CIF title hopes are far from over. As long as John Carroll is their coach, there is no doubt in my mind that Oceanside will be playing football at Qualcomm Stadium in December. Carlsbad is 0-3 this season against opponents who are currently ranked. A win here could do wonders for their playoff stock. The Metro Mesa League throne will be on the line when these South Bay powers collide for the first time. Eastlake was considered the top team in the county earlier in the season but have fallen from grace after two consecutive home losses at the hands of Cathedral and St. Augustine. Olympian is currently riding a 4-game winning streak and could make some noise with a win here. Teams that defeated the Eagles this season have a combined record of 22-2. The Falcons have a league lost on their record but they still have a legit shot at winning the Palomar League. But first they have to get past an unblemished Poway team who can clinch at least a share of the title with a victory in this game. No love lost between these non-league rivals. Both teams are out of the title picture in their respective league's but there's still playoff consideration and neighborhood bragging rights to gain from this match up. If Point Loma wants any part of the Western League crown, they will need to spoil Madison's run at a perfect season. The Warhawks can clinch the title outright by defeating the Pointers this Friday and closing the 2011 regular season with a win over Hoover next week.